This is our beautiful friend Gaya showing off her uber feminine and delicate back tattoo. 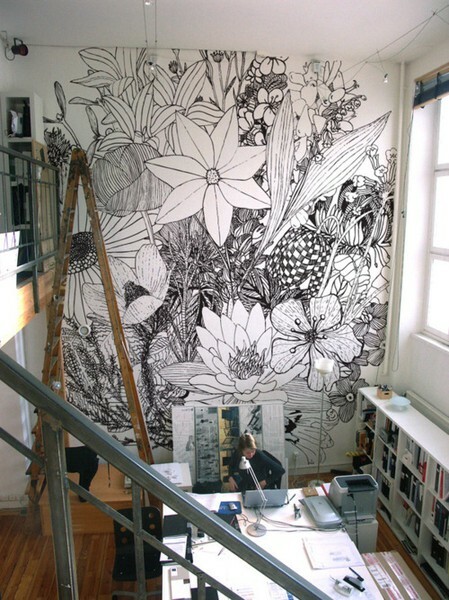 If tattooing body art seems too permanent for you, then wall decals require much less commitment. This butterfly wall decal has been placed on top of wallpaper and has instantly taken a blah boring wall to something of a feature. 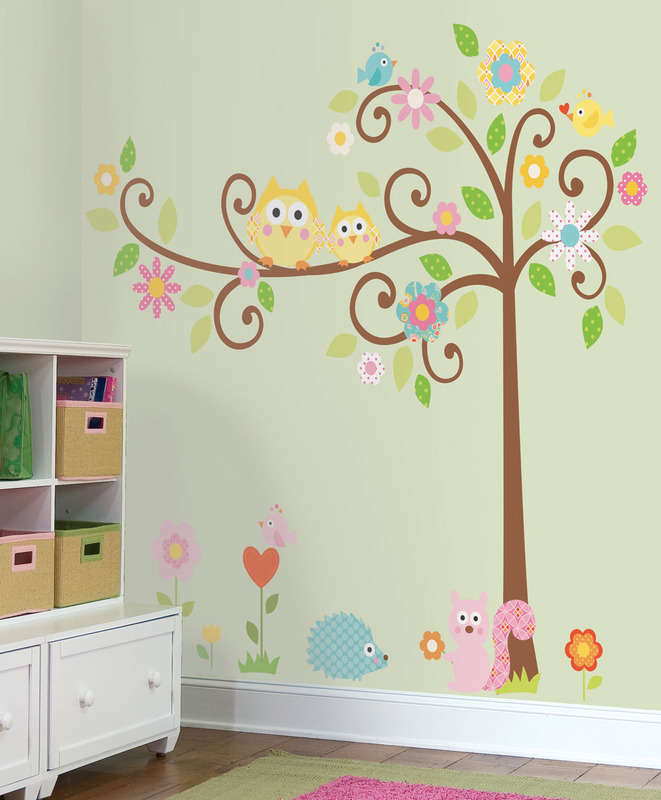 Wall decals can be a simple and great way to add excitement, character and beauty to a room. 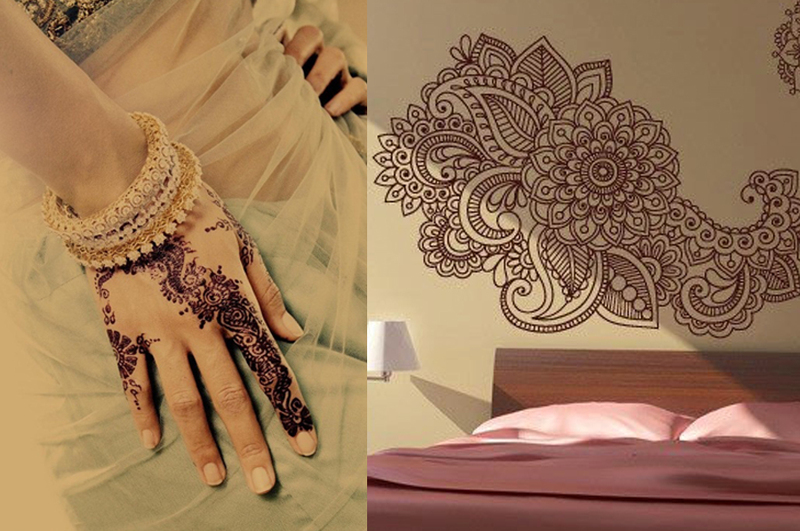 I think henna temporary tattooing is so stunning, and this wall decal example shows that you really can find almost any sort of design you desire. 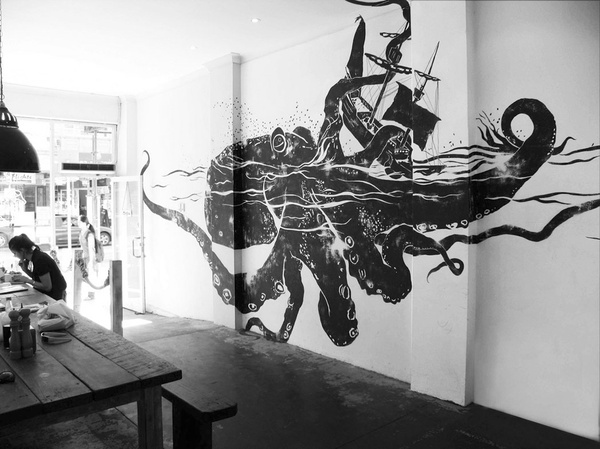 With so many options available from images to inspirational quotes, you can find something that is meaningful and beautiful to your tastes and apply this to any room in the house (or even tattoo any part of your body...). 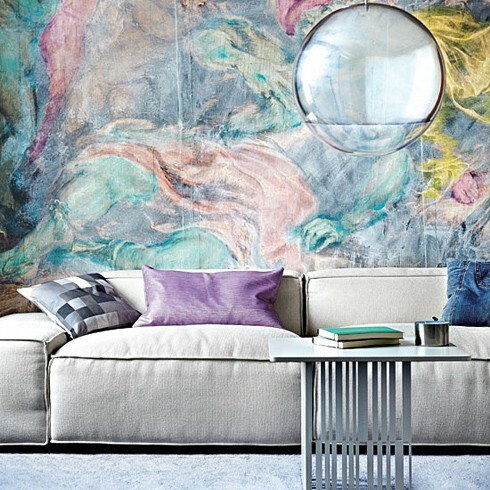 So try a wall decal – liven up a room for relatively low cost and minimal effort. There are so many different vinyl wall decals available, check out Etsy for thousands of options and you're sure to find one that you love. Or for the artistically ambitious and talented you can try painting your own wall mural or even create your own fabric wall decal, see Sewing Scarlet for a great tutorial.